Photo: Haller-Gibboney Rock House, ca. 1823, 205 Tazewell Street, Wytheville, VA. Listed on the National Register of Historic Places in 1972. Photographed by user:Jerrye and Roy Klotz, MD, 2012, (own work) [cc-by-3.0 (creativecommons.org/licenses/by/3.0)], via Wikimedia Commons, accessed May, 2017. 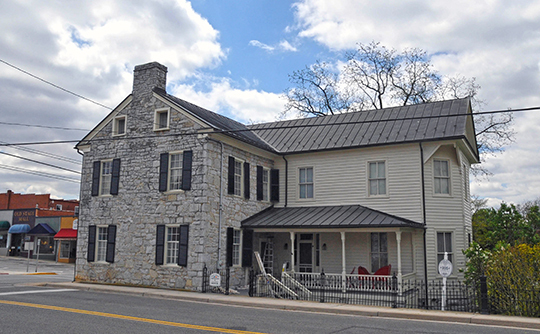 Wythe County administrative offices are located at 340 South 6th Street, Wytheville, VA 24382; phone: 276-223-4500. Town of Wytheville Comprehensive Plan, 2006, www.wytheville.org, accessed May, 2017.